The Salmon and Trout Association (S&TA) and the Riverfly Partnership have today been recognized by Natural England as key voluntary conservation organizations directly contributing to the conservation of UK Biodiversity Action Plan (BAP) priority habitats and species. It receives £106,000 from the Natural England £5.5m Countdown 2010 Biodiversity Action Fund, which aims to help some of England’s most threatened biodiversity. The project will be delivered through the newly established Riverfly Partnership Species and Habitat Management Group with key partners Buglife – The Invertebrate Conservation Trust – and the Riverfly Recording Schemes amongst others, together with angling groups across England. It will: consolidate research on eight riverfly species, carry out specialist surveys, develop Action Plans and develop key identification tools and survey mechanisms to engage the established cadre of RP monitoring groups (via the AMI) in BAP related activity. It will also generate new data through specialist surveys and volunteer effort. Bridget Peacock, Director of the Riverfly Partnership, states, “This award is fantastic news. Riverflies are the canaries of our river systems and to further understand the distribution and threats of these species will inform wider conservation action. The project will start immediately by raising awareness of these species and taking forward targeted surveys”. Natural England works for people, places and nature to conserve and enhance biodiversity, landscapes and wildlife in rural, urban, coastal and marine areas. We conserve and enhance the natural environment for its intrinsic value, the wellbeing and enjoyment of people, and the economic prosperity it brings. What is the S&TA? What do we do? Five key questions – and five inspired answers. Absolute clarity here of our status and position in the angling and fisheries worlds. This “statement of intent” came out of the most positive S&TA Management meeting (held on 16th October) that we’ve had in years. Who will be looking after the interests of game fishers now that S&TA has given up this role? S&TA has NOT given up this role! True, the role has tweaked slightly, but the influence is just the same – indeed, even stronger. Under charitable status, there is such a thing as ENLIGHTENED SELF INTEREST. In other words, if what you are working on is of benefit to you, that is absolutely fine, provided it is also for a wider benefit. As I wrote in the recent Gamefisher, we received charitable status for the work we have traditionally undertaken on behalf of game anglers, because the benefits were perceived as going well beyond merely the interests of our members. Nothing has changed in the way in which we will operate in future! 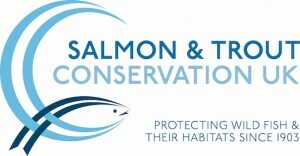 In fact, S&TA’s new strapline is Game Anglers for Fish, People, the Environment. Who will be the governing body of game fishing? The new Unity group will be the governing body for all angling. S&TA only received governing body status because our competition anglers needed to be within that structure to participate in International competition. S&TA has never governed game angling! Indeed, I have had to wear a tin hat at meetings more times over this issue than any other! In my early days with the Association, I used to say that we were a governing body, and was shot down by being asked, ‘whom do you govern; not us!’ Governing body status is also a conduit for Sport England development money, but all that funding now goes to the Angling Development Board, not us. Being a governing body has never opened political doors for us; we meet Government ministers, department and agency staff because we have more than a century’s collective knowledge, experience and influence over game fisheries issues, not because of GB status. Who will regulate competition game fishing? S&TA has never regulated competition game fishing. The Confederation of English Fly Fishers (CEFF) controls all game competition fishing on a national scale. However, we hope very much to have a close working relationship with CEFF in the future over environmental, especially fly life, issues. Why should we be members of an organisation which no longer looks after the interests of game fishers? I refer you to the answer to the first question. S&TA represents the fisheries view at the highest tables as to how fish stocks and their environment should be managed and conserved. Interestingly, we have worked as closely with Brighton University over Access to Water, perhaps our most controversial issue, since charitable status as ever we did beforehand! There is no issue we addressed before which we cannot cover now that we are a charity. When I met the Charity Commissioners, I asked them whether we could defend angling against the antis, should that ever be required. We agreed that to do so on the grounds of the social, economic and environmental benefits derived from angling was quite legitimate under charitable status – and what more compelling argument could there be? The membership voted on the issue of unity and it was carried unanimously. Now that this action cannot be followed through by the Executive, will they be asking the membership for a further mandate? I hope that this helps to answer any lingering questions over our continued suitability to undertake work that will be directly beneficial to members on the basis of enlightened self interest. The very fact that what we do is also for a far wider benefit only makes our position significantly stronger, and will undoubtedly add to our influence in future. This entry was posted in Conservation, News and tagged Conservation, Funding on 8th October 2008 by Chris Carter.